UGH. 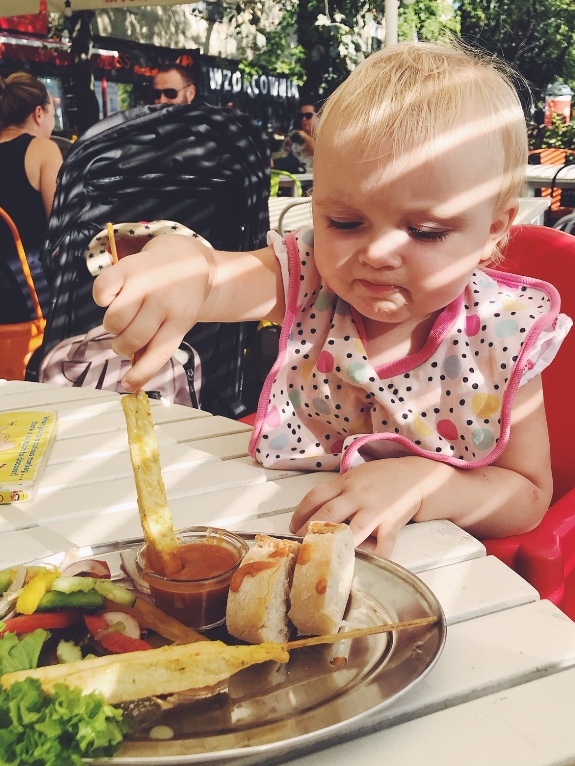 With a fully fledged toddler, now at 2, in tow I’m determined more than ever to open up her world (and tastebuds) to things other than nuggets and chips when we eat out. Kids menus are, uhmm, lacking at worst, boring at best, so instead I’ve been saying thank you to the kids menu options presented to us and sharing whatever I’ve ordered with Mijka instead. I have been doing that already – from the word go – and she’s become a big fan of avocado, sourdough bread, fermented pickles and kraut, broccoli, salad, all sorts of meats and even surprised me this week with LOVING roasted Brussels sprouts! Last week she was actually even more keen on the grilled fish and salad than the battered fish and chips I’ve recently ordered for her to share with me. Don’t get me wrong. It’s totally OKAY to enjoy fish and chips or a cheeseburger and fries from time to time, but if you’re a regular at eating out then it might be a different story. This is the key to a lifelong enjoyment of a variety of tastes, textures and foods. Sure, toddlers and kids will go through phases of liking-then-the-next-day-disliking certain foods and that’s okay. But by introducing a wide variety of foods into their menu early, you will ensure they are happy to munch on something nutritious most times. Not all is lost if your kids are low eaters of things nutritious. Get them to help you with grocery shopping – and encourage them to pick one vegetable they like, changing it up every week and pointing to those things on the menu when eating out. Invite them into the kitchen to be a part of meal prep, this can be done on weekends if you’re working and they are at daycare or school during the week. They might just be more inclined to eat something they’ve made and eager to try it again when eating out. Kids see kids do. Sharing a part of your meal with your little ones will not only encourage them to try new things but also increase the likelihood they will become more adventurous eaters. Noodles can be fun! Soups are nutritious. It’s also OKAY if they don’t like everything that you offer but you might strike gold with a few healthier options they do! Limiting their menu options to the same beige fried food options every time, will limit their tolerance for variety. Delay it if you can. It’s all about balance, because extremes are not healthy. 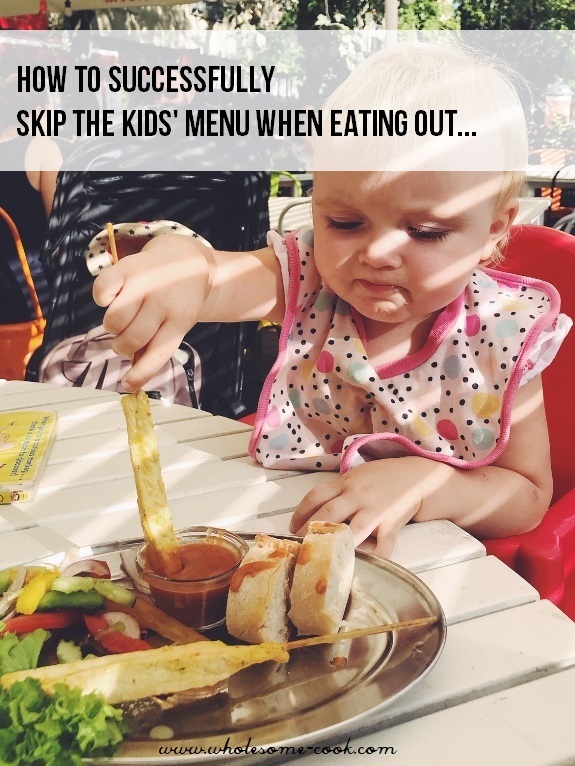 Sharing a small side of chips after the kids have enjoyed most of their meal is not a bad thing, but offering just chips as a meal probably isn’t the best way to encourage healthy habits.Don’t ban these foods as it can create issues later on, simply offer them sparingly.